The Rhine River spans Central and Western Europe. 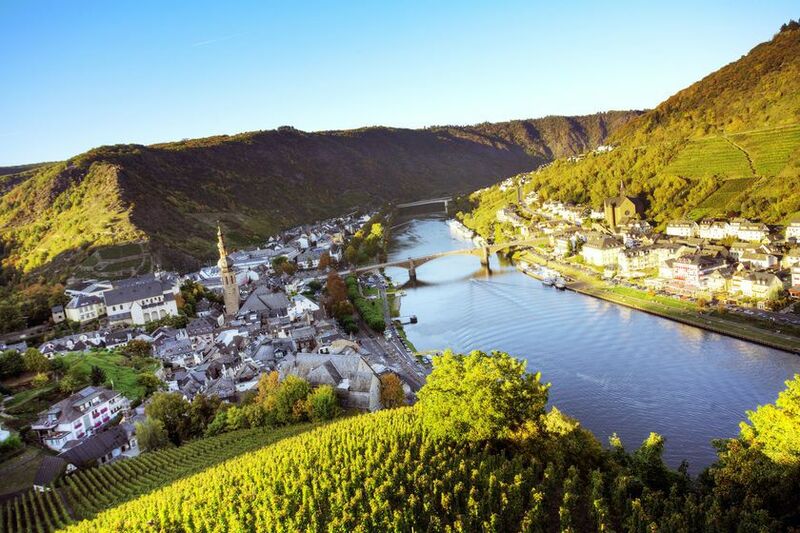 A Rhine River cruise is an excellent way to explore Germany, France and the Netherlands, uncovering the culture and history of this region as you sail. The Rhine River, whose name means ‘Raging Flood’, rises in the Alps and flows through Switzerland, Liechtenstein, Austria, Germany, France and Holland to issue into the North Sea at Rotterdam. The more moderate temperatures of spring and autumn are ideal for a Rhine River cruise although summer is popular with sunseekers. There are a range of festivals and celebrations such as Easter markets and Christmas markets worth coinciding your cruise with as well. 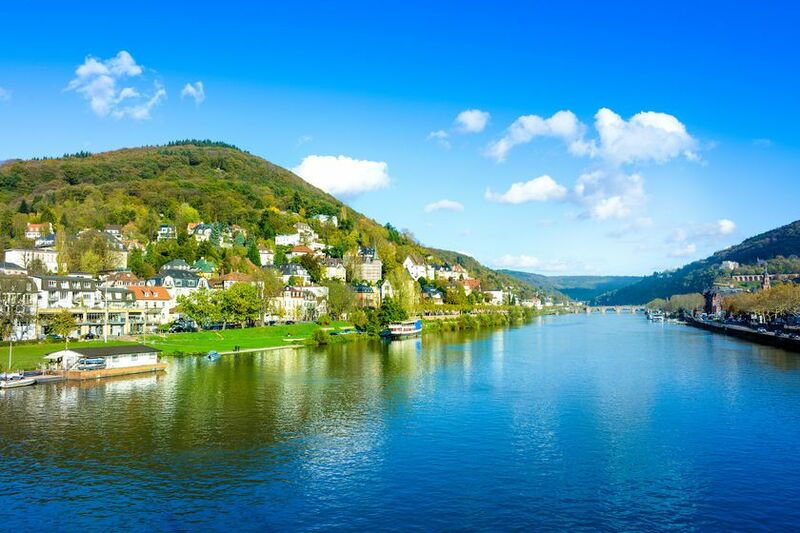 It is a busy and hardworking waterway in parts but the Rhine is also one of Europe's most picturesque rivers and a luxury Rhine River cruise passes through some stunning sections of countryside, including the romantic Rhine Gorge in Germany. Historic, medieval castles, atmospheric villages and vineyards line the banks, making the many shore excursions interesting and rewarding experiences. Travel from Amsterdam along Dutch waterways to Cologne, dominated by its Old Town and Gothic cathedral. 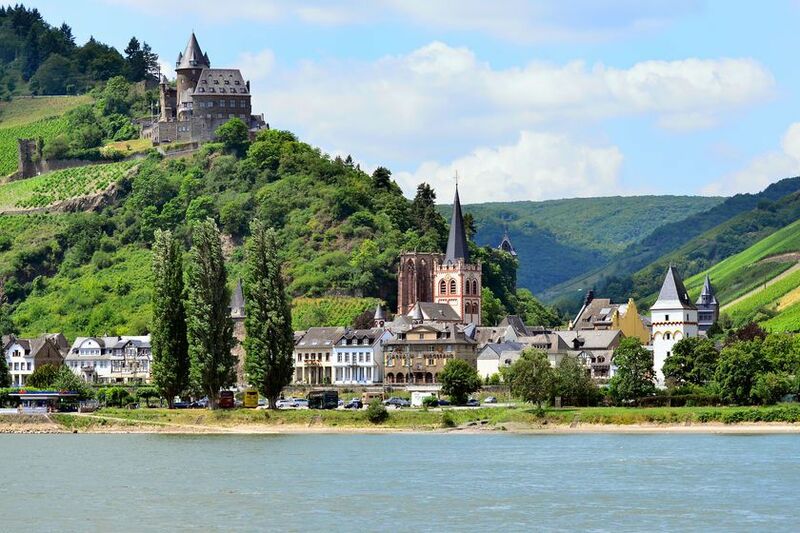 Other stops include Cochem, Dusseldorf and Bonn as the river meanders towards the sea. Other sites include ancient castles and verdant vineyards, medieval villages, and historic cities such as Strasbourg and cosmopolitan ones like Cologne and Basel. Cruise during the run-up to Christmas and you’ll get to take in the region’s famous Christmas markets as well.